 Insert Install media and start Computer. 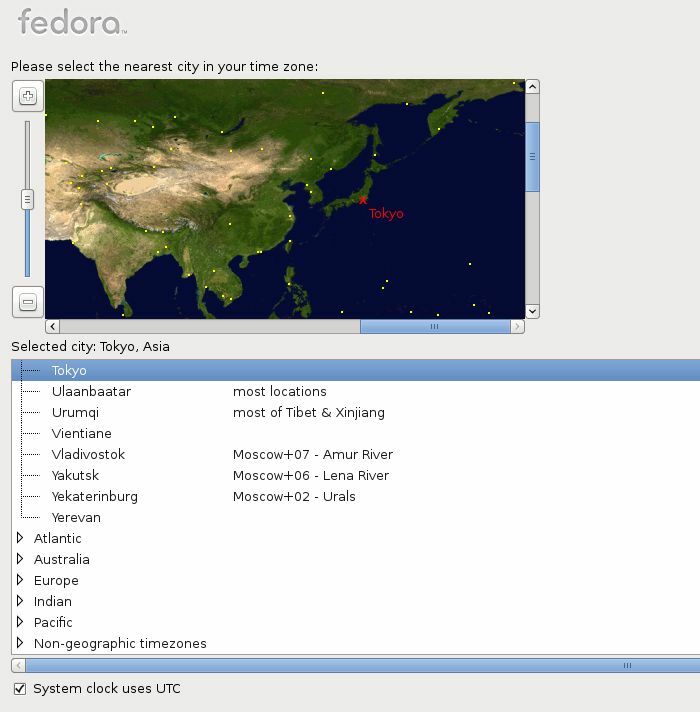 Following screen is shown, then Push Enter key. 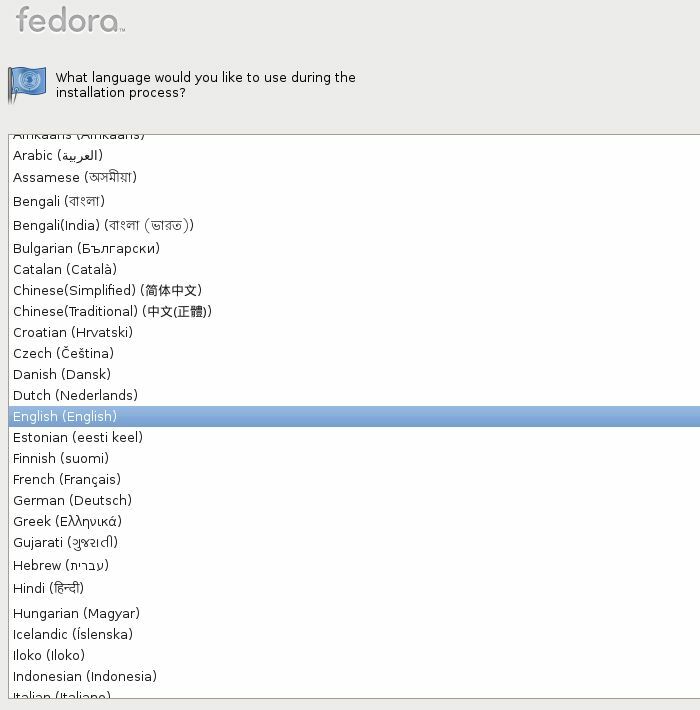 Select the language you’d like to use during the installation. 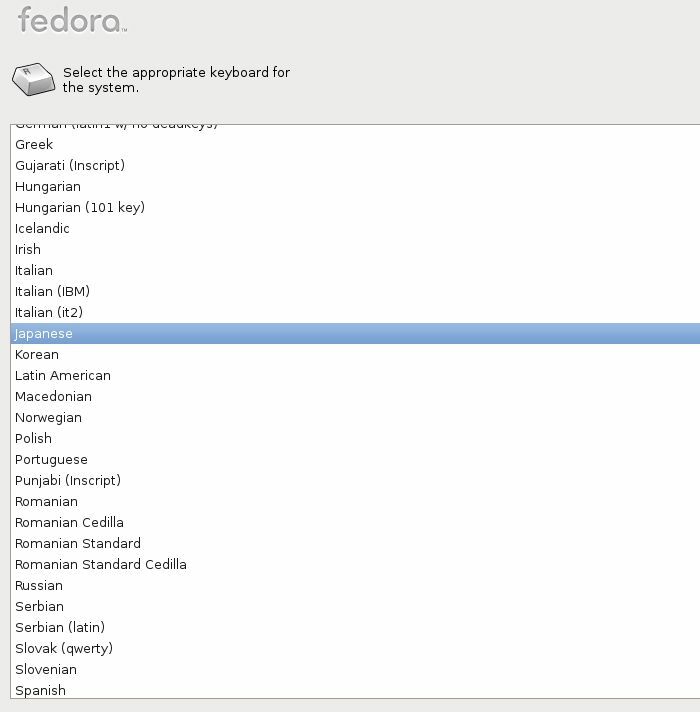 Select the keyboard type you using. Select the type of storage. 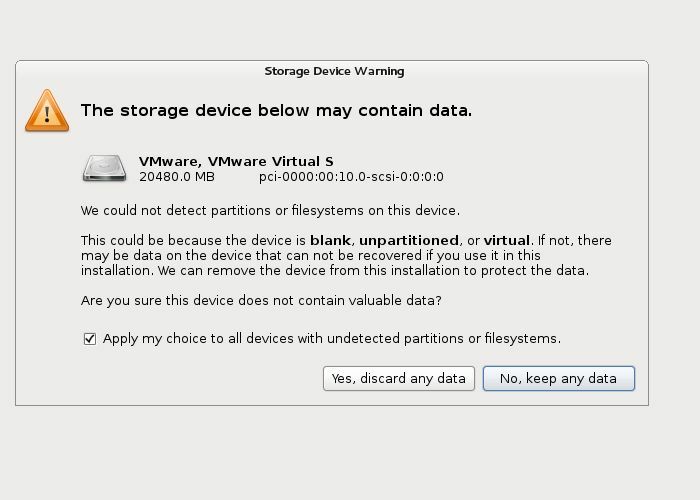 If you install Fedora 17 to local HD, select ‘Basic Storage Devices’. 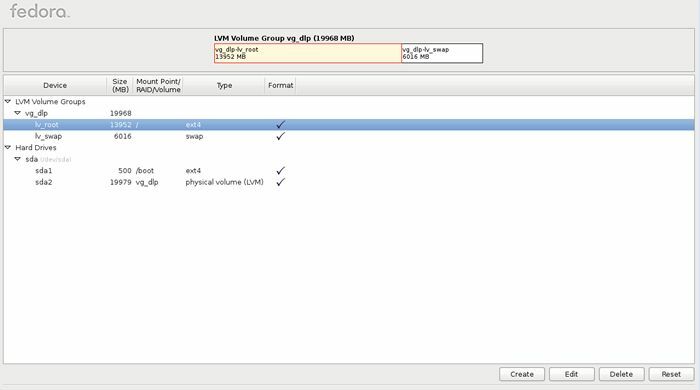 If you install to HD that is connected in storage network area or mainframe, select the bottom. If your HD is new one and not formatted, following warning is shown, Click “Yes, discard all data” if it’s OK.
 Set any Hostname you like. 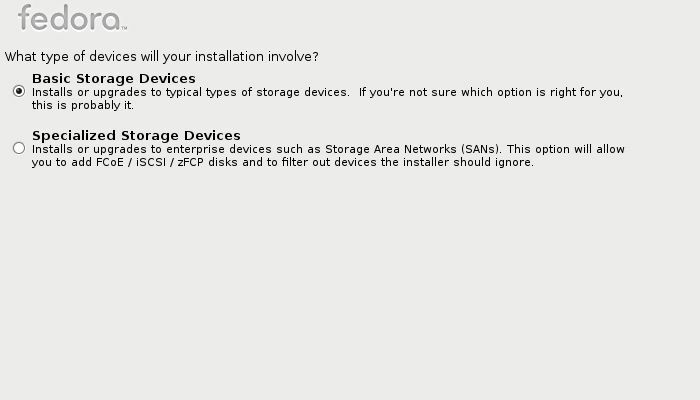 Select the installation type as follows. 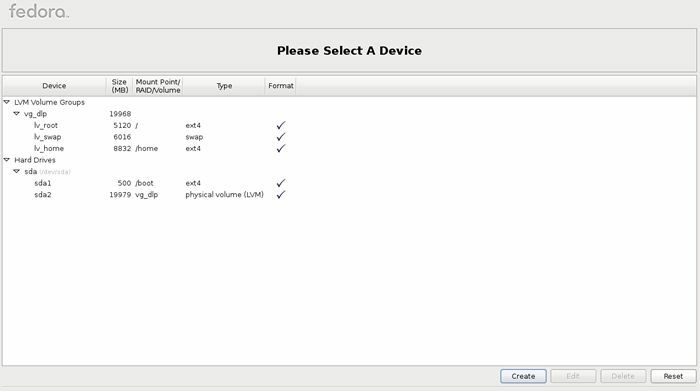 On this example, select “Use All Space” and check a box “Review and modify partitioning layout” to configure partitions manually. 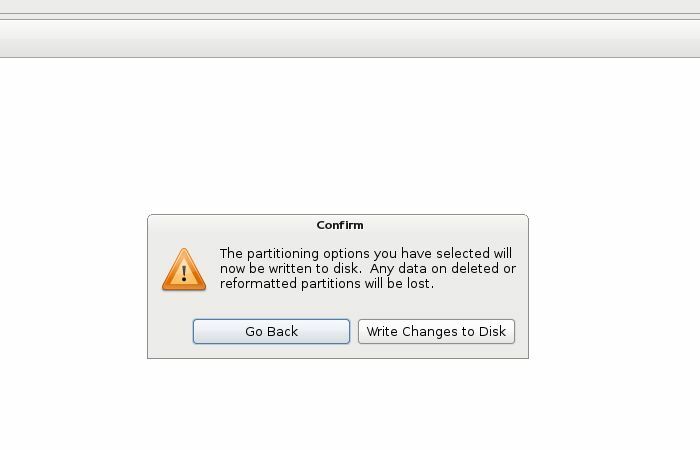 This is the section for changing partition layouts. 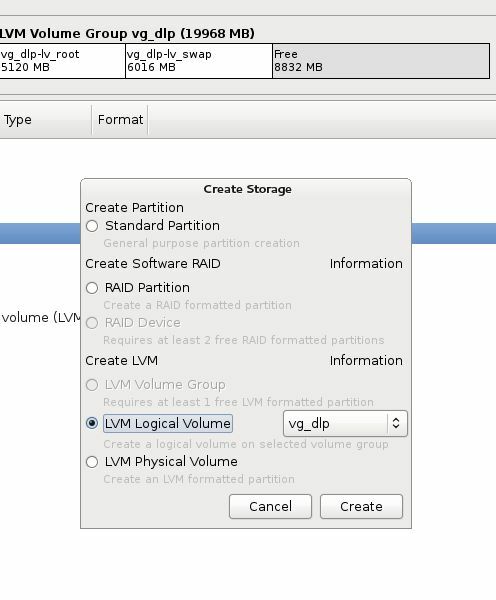 This example shows to configure LVM partition layouts (Set /boot, /. swap, /home on here). First, select “/” and Click “Edit” button. Reduce volume size of “/” to make free areas for /home. 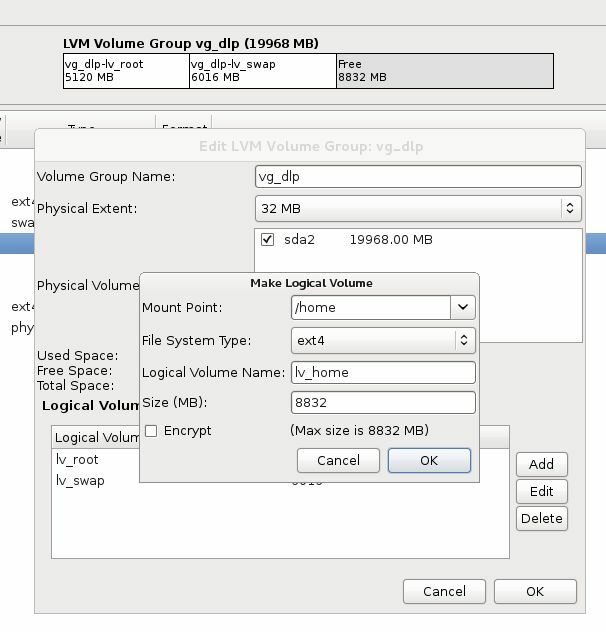 Click “Create” button, then following screen is shown, Select “LVM Logical Volume” and Click “Create”. Input mount point, logical volume’s name, size and so on like follows. Click “Next” button if it’s all OK.
 Click ‘Write Changes to Disk’ if it’s all OK.
 Click ‘Next’ button with keeping default, it’s no ploblem. 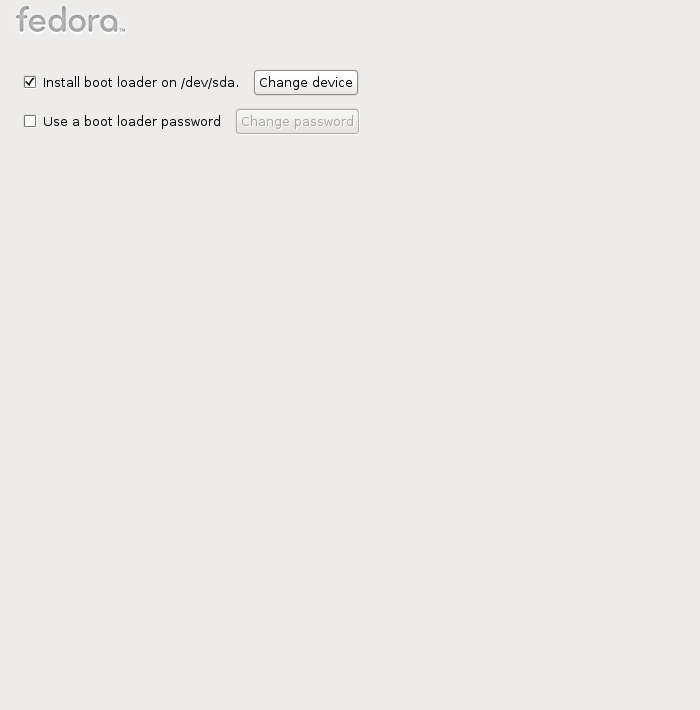 But if you set some parameters for bootloader, Do it. 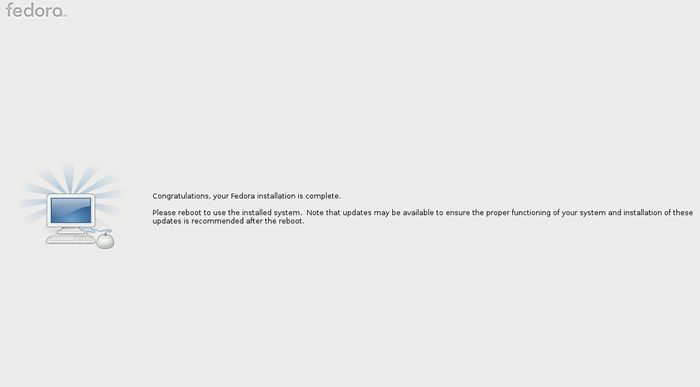 Select softwares to install. Select ‘Minimal’ and go next. It’s unnecessarry to install many packages at first. 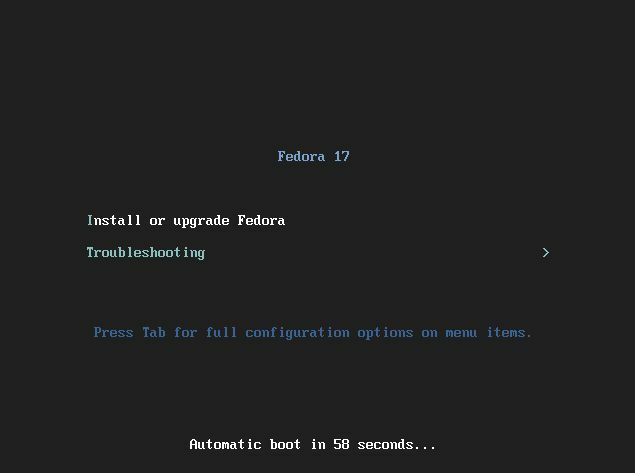 But if you are beginner on Linux system, check a box ‘Customize now’ and Install additional packages on next step because it’s inconvenience if only ‘Minimal’ is installed for biginners. Installation completes. Click “Reboot” button. 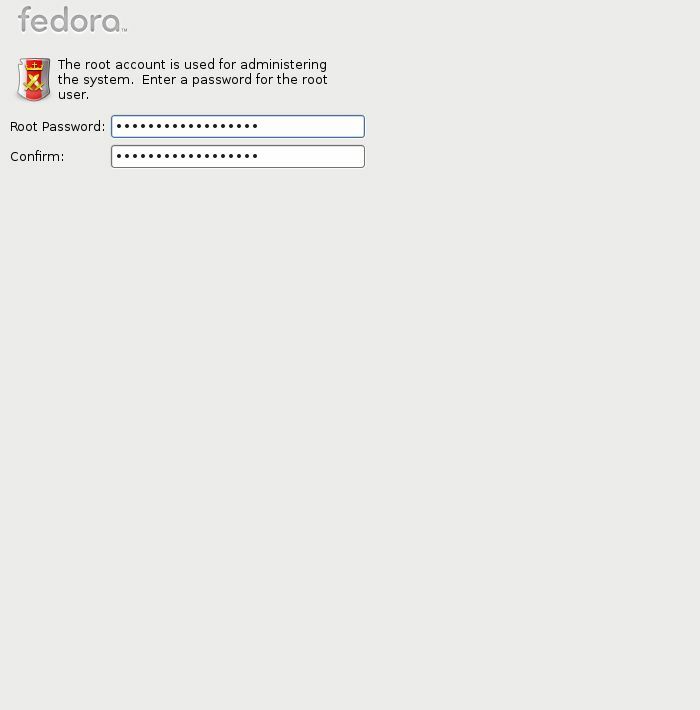 After rebooting, login prompt is shown, Login with root user. 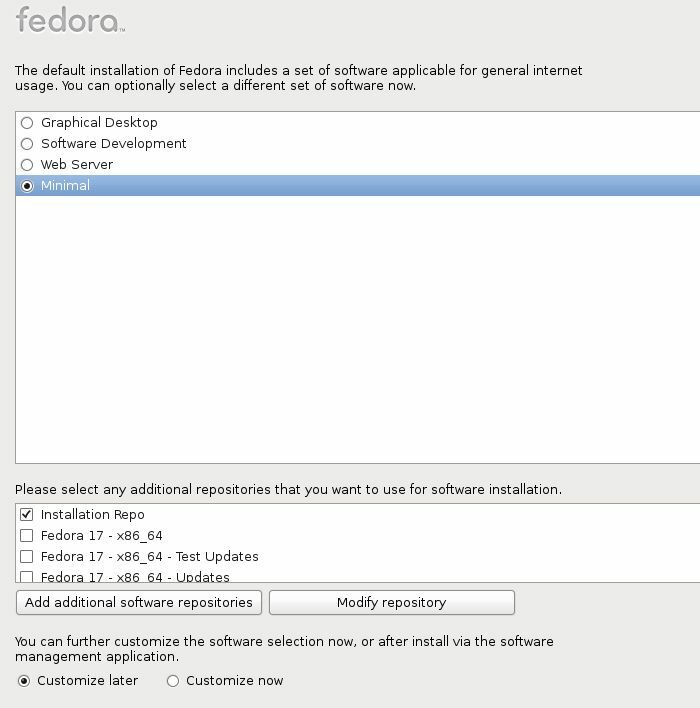 Installing Fedora 17 completes if you can login normally. Santiago de Chile, is my city.